We’re very pleased to announce the long awaited release of Learn to Play The Beatles To A Tee! Volume 3 Instructional guitar DVD. We’ve worked hard to continue to bring you the most accurate Beatles guitar instruction available. This latest DVD features all the things you’ve come to expect from To A Tee plus more. This DVD features 19 songs! That’s the largest selection to be presented on a single DVD in this series! Riffs and lead segments have been slowed 50% and for the first time in this catalog, feature an on-screen fretboard with colored markers indicating exact finger placement as the slow segments play! 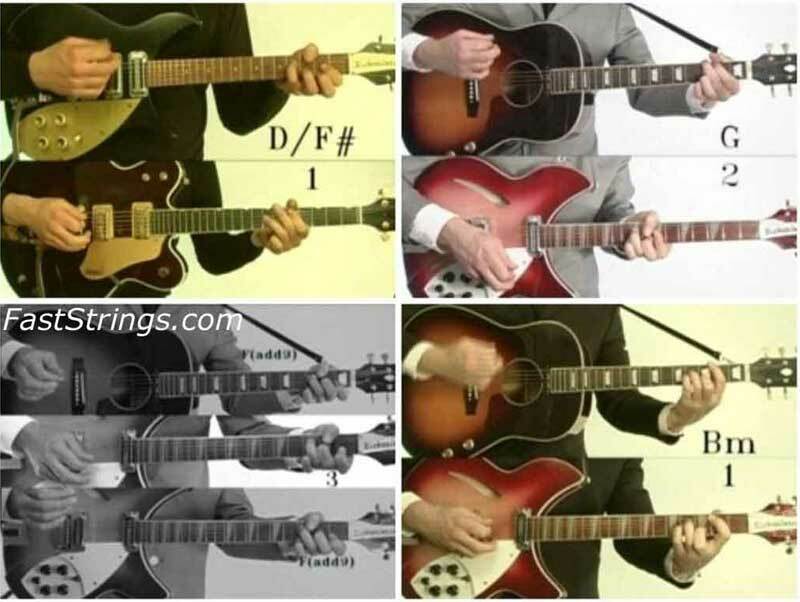 See all those classic Beatles guitars in action as Rob Taylor breaks down some of the most puzzling mysteries of Beatles guitar parts. If you’ve ever wanted to learn how to play Beatles songs, and have been confused by the many different chords/leads that appear in so many books, THIS is the DVD for you! Rob has done EXTENSIVE research into the songs of the Beatles and has produced two prior DVDs (Vol. 1 and Vol.2, which are BOTH Great) but Vol. 3 is just INCREDIBLE! The chords and leads are shown in split screen AND split sound! Rob makes it easy to learn in this user friendly DVD. This DVD is a MUST for any Beatles fan or musician who wishes to learn how to Play Beatles To-A-Tee!! It continues the series of Beatle songs. The instructor, Robb Taylor, follows the same format as the previous titles in the series. There is no written tab or standard music notation. However, the songs are played correctly the way the Beatles recorded them. As Ringo said, “you know it don’t come easy” but the time and effort is well worth it. Rob Taylor is obsceded with the Beatles and in these 4 DVDs he hits all the important points and shows you exactly how to play every part of the best songs. Leads rhythm layered parts plaid on the same instruments wearing similar period threads to boot. He deepens your understanding of the roots as well. You will become a better guitar Player and impress your friends. You also will come away with an even deeper love of the greatest rock band if all time! Thanks for all DVDs of this serie! II am a huge beatles fan plz plz help me. I want to get it.